Pentatonic Finder Lick #1 from "Feen's Trick Bag!" Creating a song can be the most fulfilling experience that a musician can ever have. A song encompasses the writer’s vision of a message that is longing to be told, and longing to be heard. And when a composer successfully communicates that message to the world through music, not many things can top it. I am a composer and have been composing ever since I picked up the guitar. 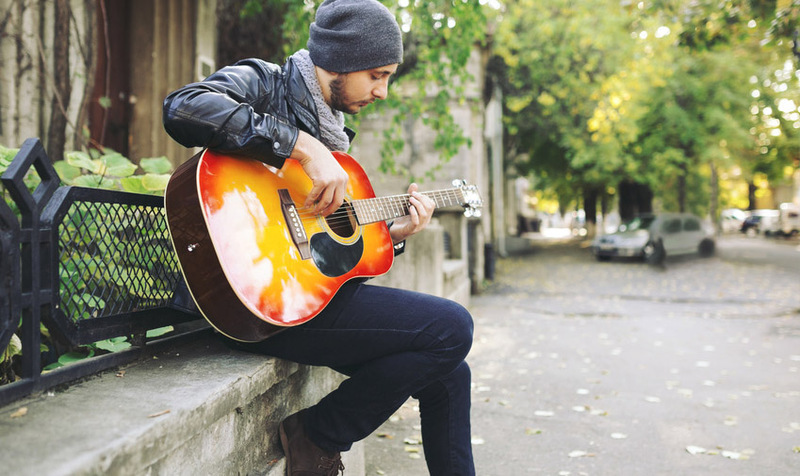 At first, I was actually more interested in writing music than merely learning the guitar. From the beginning, I had this perspective that music was something I wanted to share with others. There is much satisfaction when you witness other people enjoying and relating to your own music. And I’m guessing you are reading this because you have a slight to strong interest in the subject of songwriting. So please allow me to take you on a little informational tour, reaching deep into the core of music. We’ll discuss various elements of songwriting and delve into how you can improve as a songwriter. Inspiration. Without it, music (and most things in this world) wouldn’t exist. Every existing piece of music has been developed because a human being was inspired to write it. A high achievement, the death of a loved one, blossoming love, deteriorating love, a religious experience, difficult seasons, a new adventure…these are only a few of life’s circumstances that can inspire song. So whether it be inspiration from a significant circumstance, or inspiration from the sole desire to write and enjoy music in general, it is inspiration nonetheless. And it is the key ingredient to songwriting. You need to find what really inspires you. You might not think much of it, but it needs to be taken seriously if you want to write effective and influential music. I’m assuming you want to write music that impacts people. Nobody cares much about the songs that go in one ear and out the other. I am always surrounded by music. I hear plenty of songs within the span of a day. And I can tell a huge difference from songs whose artists have found their true inspiration, from songs whose artists’ only seemingly inspiration was to write radio-friendly tunes that we’ve already heard from fifty other artists. In other words, originality, and the ability to impact listeners are the ultimate signs that a musician has truly figured out how to channel their inspiration into music. The main thing that I want you to remember is this…you will only find fulfillment in your music if you follow your heart. As cheesy as it sounds, that is what will make you happy, that is what will make your music original, and most importantly, that is what will make your music memorable to someone else. 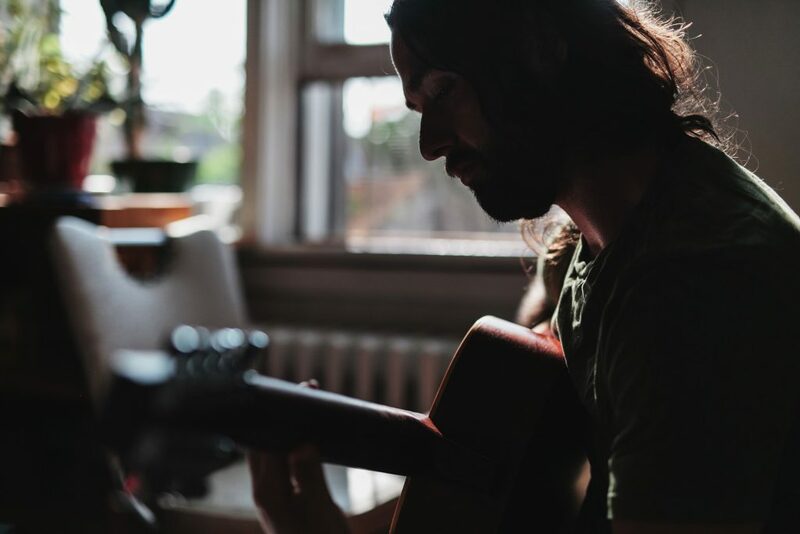 It may be memorable to just one person, or maybe millions of people, but that shouldn’t matter, as long as you’re writing music that truly stems from what inspires you. Everyone has their own unique methods and styles to their songwriting. If you’re just starting to compose your own music, you may have to experiment a little before you really find your preferred and most effective method. If you’re a seasoned composer, keep reading, you may find some new ideas that you can apply to your routine. As mentioned before, once you have your inspiration, you’re ready to start creating your own music. It is now time to literally speak your inspiration through your musical instrument. Composing a song is indeed a “block-building” process. You build one part, and feed off of it to build another part, and so on until it’s finished. Initially, try writing the song from the intro to the outro, in sequential order. However, that may fail and you might try starting with the chorus. I sometimes like writing choruses first as it gives me a good sense of the overall context and theme that I should strive for with the rest of the song. Also, don’t rush the process. Take your sweet time. Not doing so will jeopardize the quality of your song. Find a quiet writing environment. All musicians have the common requirement of silence around them while they are composing music. If you find yourself not thinking clearly because of distractions, try isolating yourself from those distractions. Intro, Verse, Chorus, Verse, Chorus, Bridge, Chorus, Outro. The structure of a song is very important. Just as with books or movies, songs need to be put in a certain order for them to flow properly and make sense. That said, I of course don’t believe there is a certain structure that should be applied to every song out there. Every song is different. The bottom-line is that you need to find the right structure that fits in with the feel or message of your song. Is it a song with which you want to hook the listener right away? Try having your chorus at the beginning. Do you need there to be more “tension” raised before you go to the chorus? Try adding a pre-chorus that appropriately sets a nice “launching platform” for the chorus. Is it a song with which you feel you have to reinforce the chorus’ message one more time? Try adding a double chorus. Make sure that your song determines the structure, rather than a structure determining your song. The list can go on and on as far as how songs can be ordered in a way that presents a well-paced and effective musical story. However, in the beginning of your writing process, don’t get too caught up in determining the song structure. Doing that would be like naming the chapters of a novel before it’s been written. Let it form organically. Your main focus should be to tell your musical story how you want it to be told, and in the order that you think best. Don’t have a strict “radio-friendly” structure that you stick to religiously. There’s nothing wrong with a set structure, but it can limit your song’s uniqueness, as well as your own creativity, if you obsess too much about it. My best advice about how to put your song in order is this: Make sure that your song determines the structure, rather than a structure determining your song. As it is with song structure, the style needs to reinforce the message of the song. For example, romantic songs usually sound soft and delicate, because that style is designed to produce tender and heartfelt emotions. On the other hand, a song about a controversial political issue might be better represented by a heavy rock style instead of a soothing ballad. Music, even without lyrics, is a form of communication. Certain styles of music produce certain emotions inside an individual. This mysterious fact epitomizes the sheer power that music possesses. So make sure that the style of music you choose lines up with the emotions that you want to invoke within the listener. Whatever style you choose, make sure you incorporate effective dynamics. What are dynamics? In the musical sense, dynamics have to do with the variation of volume in music. Tempo (speed) can also tie in with dynamics. It is critical in effective songwriting to implement a healthy dose of change within the song. If a band plays at the same volume through an entire song, odds are that the listener will lose interest and get bored, or even worse…annoyed. Think about it in terms of a movie. If the whole hour and a half is full of non-stop action sequences without having at least one quieter scene with dialogue, then that is going to guarantee most viewers a 90-minute headache. Granted, some people wouldn’t mind this type of movie, just as some people might not mind a song with monotony, but most people would be turned off. Most songs have some sort of breakdown, where there is a temporary detour from the overall volume and tempo of the rest of the song. So if you want to keep listeners interested, give them a balanced dosage of change in your song. If you’re like most of us songwriters, you don’t always have a band at your disposal every time you get inspired to write a song. You need composing software with virtual instruments. There are a ton of options out there, and before you commit to buying, it’s important that you research and try out demos to see what works best for your computer and your workflow. I personally use and love Cubase. Of all the DAWs (Digital Audio Workstations) I’ve tried, Cubase is what makes the most sense to my workflow. Very simple composing tools, slick interface, decent customizability, and good performance with my PC. That’s just me though, there are many options and I’d recommend spending a good few weeks trying different ones out before purchasing. 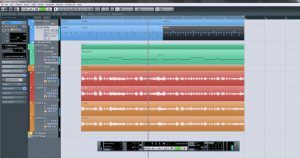 Believe it or not, the DAW you chose will absolutely impact your songs! Make sure the one you purchase provides the most relaxing environment possible for you. Here’s the best advice to be given regarding songwriting…never stop writing music. If you compose consistently, you will keep improving. Songwriting is a beautiful art. However, it is also a learned art. The more you write, the more you’ll get a feel for your own original style. I think it’s safe to say that nobody wants to be unoriginal. So keep writing until you find out who you are musically and where you want to go musically. Once you get to that point, writing songs will become ever more fulfilling for you. Good luck with your songwriting endeavors! Lock in your inspirations, then go write the best songs in the world. Most songs have some sort of breakdown, where there is a temporary detour from the overall volume and tempo of the rest of the song. So if you want to keep listeners interested, give them a balanced dosage of change in your song.